Producer Loops ha rilasciato Euro House Vol 6, ultima uscita delle sample library dedicate alla house europea. ‘Euro House Vol 6′ concludes this incredible series from Producer Loops, bringing you another FIVE colossal Construction Kits inspired by the freshest House sounds to conquer clubs across Europe. With both commercial and underground appeal, as well as a professional feature set, this is a must-have sample library for any serious House producer. Combining the most uplifting progressions with the highest energy, club-shaking sounds found in today’s European House music, ‘Euro House Vol 6′ is a hugely versatile multi-format Construction Kit sample library that’s set to fuel your music productions and make dancefloors shake! Euro House Vol 6 è in vendita £24.95 GBP. Exode Sound ha annunciato il rilascio di Electricity, un soundset per il virtual synth u-he ACE per Windows e Mac. All'interno troverete 130 presets contenenti bass, lead, pads e synth. Requires ACE VST/AU plugin by u-he software. 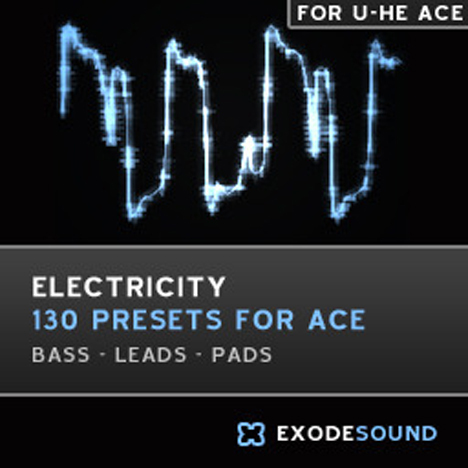 Electricity soundset è in vendita al prezzo lancio di $10 USD. DMG Audio ha rilasciato PitchFunk, un modulation multi fx plug-in per Windows e Mac. This all started as a toy project – I was ill, so doing some research. I’ve always been interested in the history of pitch shifters and was researching into what it was that made the classic units so special. I built a little toy which sounded great. And then, because it seemed necessary, we added feedback. And things got a little more weird. So we added a delay, and it got weirder still. And then a filter, and then variable topologies, a massive modulation section, the moveable gainstage, MS and LR independent processing, and a host of other little things that will entertain and amuse. Suddenly the toy had grown into something monstrous. It was making sounds we couldn’t describe any more. So we’re doing the obvious, and offering it to the world. What’s the worst that can happen? Loopmasters ha rilasciato Tom Middleton Deep Bass House, una nuova uscita nella "Artist Series" by Tom Middleton, aka Cosmos, aka Tom The Jedi. Formerly one half of pioneering electronic act couple Global Communication and nu-new-knew-School Electro Funk ‘n’ Breakmeats outfit The Jedi Knights. Schooled in ’89 by none other than the Aphex Twin, who Tom learned the mystical arts of sampling, analogue synthesis, lo-fi bedroom production and vegetarian midi gastronomy. Expect to find bundles of Raw, Dry, Crusty Synth Essentials including, Multi-Oscillator Stadium Sized Synths, Cone Wobbling Sub Basses, Radiophonic Sci-Fi SFX, Layered Snare Claps, Pre-Swung Hats and Percussion and how about the lowest Kick you’ve ever heard…note G octave minus 1, weighing in at around 25Hz! Try that for size Luciano and co! 1.23GB of 24 bit quality loops and samples. Includes 39 bass loops,57 music loops,38 kick loops, 9 mixed drum loops, 35 percussion loops, 19 snare clap loops, 44 top loops, 6 tuned drum kits, 236 drum hits, 11 bass one shots, 16 bass multi sampled instruments, 22 synth multi sampled instruments, 46 one hit and stabs, 43 SFX, 268 REX2 files. 115 patches for Kontakt, HALion, EXS24, NN-XT, sfz. A full Ableton Live Ready Pack, Apple Loops and Reason 5 Refill also available seperately. 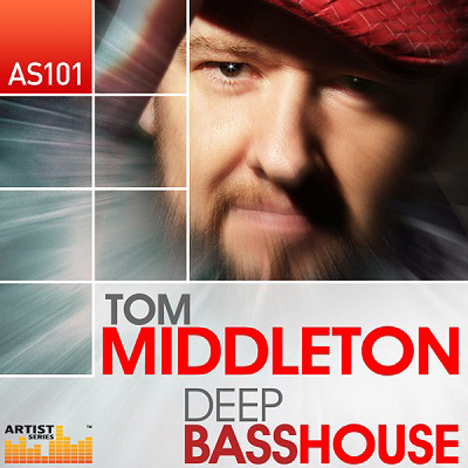 Tom Middleton Deep Bass House è in vendita a £29.95 GBP. Sample Magic ha rilasciato Sylenth1 Nu House Patches, un soundset per il software synthesizer Sylenth1 di LennarDigital. 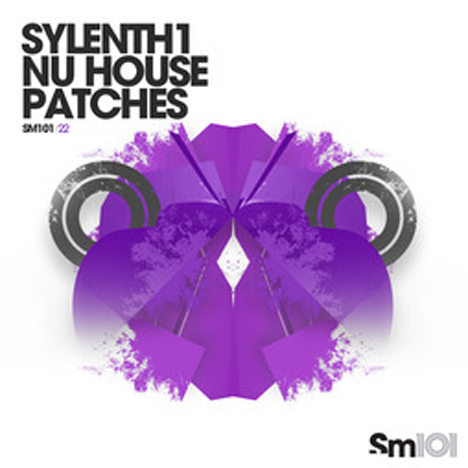 Taking stylistic cues from up-front 80s electro-funk, Berlin tech-house, hypnotic deep house and beyond, Sylenth1 Nu House Patches surfs the zeitgeist of the fresh house sounds making waves on dancefloors worldwide. Loaded with 101 patches of bass, leads, chords, keys, arps, pads, FX and more, Sylenth1 has been masterfully manipulated to carve out instant club-ready synth patches for cutting-edge deep, groovy and bass-heavy house productions. Nu House Patches è in vendita a £16.90 GBP. Delectable Records ha rilasciato House Brass, una collezione di live brass (ottoni). 100% focused on Brass elements, professionally created by Jazz Musicians, Philharmonic Teachers and skilled musicians, this pack contains top quality phrasing, accompaniments and single-shots for complete versatility, suitable for House, Tech House and Latin House productions. 40 trumpet loops, 24 alto saxophone loops, 45 bass trombone loops, 25 trumpet plunger loops. 14 alto saxophone riffs, 33 bass trombone riffs, 22 flugelhorn riffs, 25 muted trumpet riffs, 40 trumpet riffs. 23 bass trombone shots, 24 trumpet shots, 7 trumpet muted shots, 5 alto saxophone shots, 66 various effected shots. Apple Loops version available seperately. 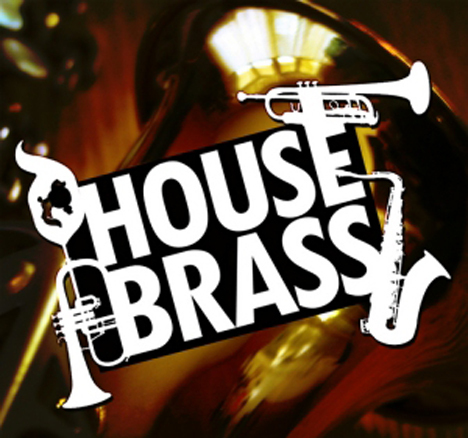 House Brass è in vendita a £24.95 GBP. 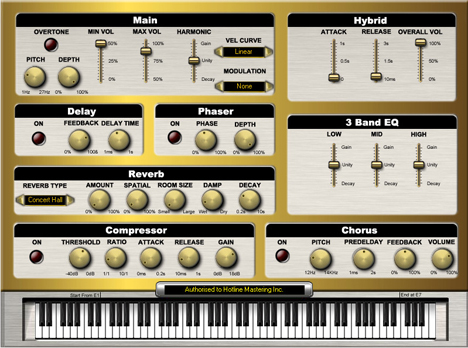 Sound Magic ha rilasciato GrandEpiano, un virtual instrument con suoni di Rhodes Electric Piano. By using our Sound Magic Award-Winning Hybrid Modeling Technology, GrandEpiano not only provides an accurate copy of the vintage electric piano sounds that appear in many great hits, but also provides the playability that physical modeling brings. And, you’re not limited to just the Rhodes – 10 precise controls allow you to easily enjoy the sounds of a Wurlitzer or perhaps a Horner. An important feature of GrandEpiano is that you can freely “hybrid” this epiano sound with any of the piano modules in Supreme Piano 2 to create a new fantastic hybrid sound. GrandEpiano provides a special Hybrid Mode with 3 controls to help you better mix the native electric sounds with those of other great Sound Magic Pianos. With GrandEpiano, we’ve included up to the minute EFXs, making it easy to find the exact sound with the exact effects that you need. By doing so, GrandEpiano is not just a vintage machine,but one that can bring modern sounds to your mixes. You can use GrandEpiano and its powerful effects system to create your own unique sound style, a new era for the electric piano! NEO Hybrid Modeling Electric Pianos. Internal Delay, Phaser, Chorus, Reverb and Compressor effect unit (native version). Specially designed Modulation and Chorus Effect Unit. Provides Vibrato, Tremolo and Auto Panner Modulation Effect. Unique Hybrid Mode enables GrandEpiano can hybrid with Sound Magic Pianos. GrandEpiano è in vendita per Windows e Mac (VST/AU) a 69 EUR. I clienti Sound Magic possono acquistarlo al prezzo scontato di 50 EUR. Sample Magic rilascia Club Kicks 2, un nuovo SM101 sample pack con 101 tipi di cassa. By popular demand SM101 serves up a second helping of killer kick drums primed for all mainroom genres, from house and techno to complextro and dubstep. Packed with huge sub smashers, crunchy layered kicks and lighter kicks for layering, each one packs a punch and is primed for the dancefloor. Once again each kick has been built from scratch then finely-sculpted through Sample Magic’s top secret channel strip to guarantee maximum sonic slam in all the right frequencies. Whilst they’re ready to rock straight out of the box, the kicks haven’t been over-cooked with compression, leaving dynamics in tact so you can give each kick your own spin so it slots seamlessly into any mix. Club Kicks 2 è in vendita a £9.90 GBP. 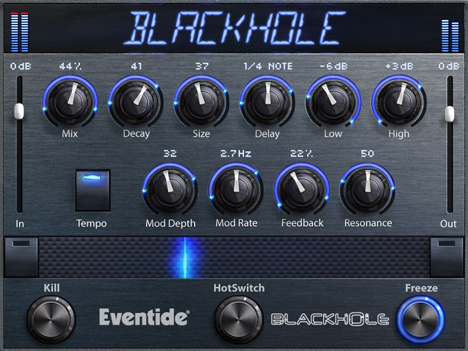 Eventide ha rilasciato Blackhole, un native reverb plug-in per Windows e Mac. Blackhole is a massive reverberator that has evolved over the years by pulling in mass quantities of time and energy (of the development persuasion, of course). In its earliest incarnation – first in the DSP4000 and later in the H8000 flagship processors – it was regarded, by some, as a secret weapon. Recently it was tuned, expanded and enhanced and then unleashed in the Eventide Space stompbox. Now, it’s available as a Native plug-in. Blackhole may not be your first choice to simulate an enclosure on the surface of the earth but, if you’re at all interested in ‘sculpting sound’, Blackhole just might pull you in. From our vantage point, its possibilities appear to be endless but, of course, we can’t see beyond its event horizon. Blackhole per Windows e Mac (VST/AU/AAX) è in vendita al prezzo lancio di $99 USD (prezzo di listino $199 USD). È disponibile un crossgrade per i possessori di Space stompbox al prezzo lancio di $49 USD (prezzo regolare $99 USD). Nota: Blackhole richiede iLok2. 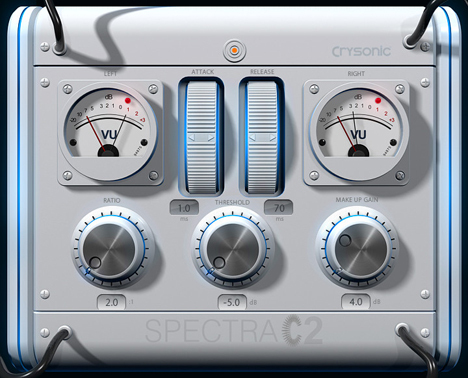 Crysonic ha annunciato il rilascio di Spectra C2, un versatile compressore (plug-in) per Windows e Mac. SPECTRA C2 is a Non-Transparent Compressor which is to say it imparts subtle but very desirable analog characteristics to any signal being processed. The all new Zero latency proprietary physics based algorithm employed allows Spectra C2 to be used in every step of music production from Tracking to Mastering and Live work for both mono and stereo signals. Available for Mac OSX and PC (Native 64/32 Bit UB on the Mac). V2 Next Generation Physics Based Audio Compression Engine. Analog Physical Model Results with Unique Digital Style. Incredibly Intuitive and Easy to use Interface. Double Click to Reset, Option Click for Fine control. Very CPU efficient can be used on every track. Full Automation of all dials. Spectra C2 è in vendita a $159 USD. Freaky Loops rilascia Deep Disco House, la nuova uscita nella “Micro Series” con 65 loops disco house al suo interno. You’ll find pianos, strings, guitar licks, dusty rhodes, funky filtered synths and classic keys, everything from basses to vocals. Whether you are making disco, deep house, funky or other forms of house music, this unique collection is a great starter point for new inspiration or for adding a hook to your track. Icludes 65 loops: 10 bass loops, 41 music loops, 14 vocal loops. All Loops are Key and Tempo Labeled. 134 MB content, 24-bit quality. 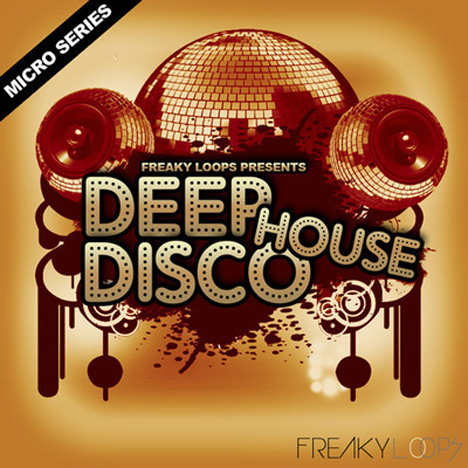 Deep Disco House è in vendita da Loopmasters a £12.95 GBP. Future Loops annuncia il rilascio di Afro-Cuban Drums, una collezione di live drums, fills e percussion loops nei formati WAV & REX. 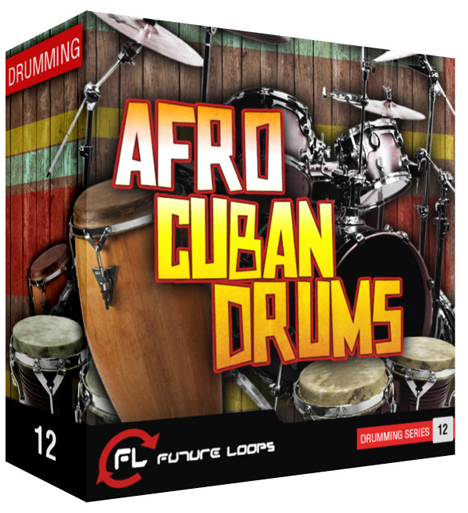 Afro-Cuban Drums blends Jazz, Afro-Cuban and Latin rhythms in over 600 loops. With several moods and energies (tempo ranges from 85 to 160 Bpm) and featuring Bongo and Conga loops, Afro-Cuban Drums is also geared towards less traditional genres such as Hip Hop, Electronic and Chill-Out. 674 Loops: 497 Drum Loops, 68 Fills, 82 Percussion Loops (Bongo & Congas). Tempos range from 85 bpm to 160 bpm. Afro-Cuban Drums è in vendita a 34.97 EUR. 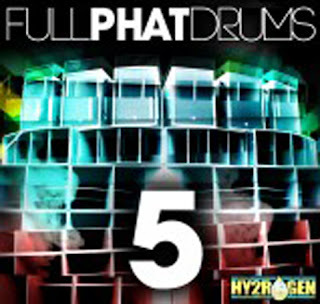 Sounds To Sample rilascia Hy2rogen Full Phat Drums 5, un nuovo sample pack by Hy2rogen. From sub deep kicks to stereo stacked claps, from crispy open/closed hats to wonky nu-perc slams and from electro buzzy bass line shots to bigroom progressive synth shots, Hy2rogen has fired up his analog gear and in conjunction with his favorite software, compiled another must have library. Includes key labeled subby kicks, super stereo stacked claps & snares, crispy open/closed hats, nu percs, buzzy key labeled electro & progressive bass shots, and bigroom progressive synth shots. Il sample pack è in vendita da Sounds To Sample a 15.90 EUR. 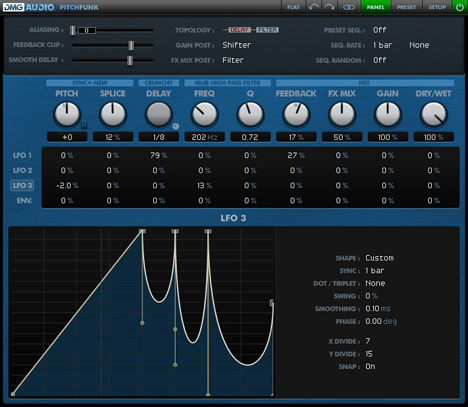 Tone2 rilascia Drums!, un soundset per ElectraX, il virtual synth per Windows e Mac. Rhythmatic heaven for those looking for mashed up kicks, cone thrashing sub bass, phat snares, vibrant grooves, vocoded sequences and block rockin’ beats, bringing percussion to the next level and providing you with loads of inspiration for your latest productions. The Drums! soundset è in vendita a 49 EUR. UVI annuncia l'uscita di String Machines, un hybrid instrument creato con "l'impronta analogica" di 11 tra i più famosi string synthesizers mai costruiti. Back in the 70′s, leading keyboard designers around the world attempted to reproduce orchestral string sounds through analog synthesis. The results were far from their original intent but were in no way failures. Used on countless cult records and engrained in our collective memory to this day – these ‘String Machines’ bore an analog soul on their own. At UVI we are obsessed with this, having spent countless hours working on ways to capture this analog soul and present it as an accessible, expressive, fully editable digital tool. 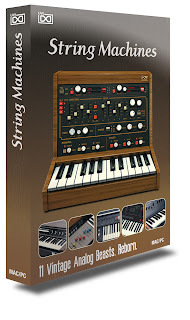 So was born String Machines – a hybrid instrument forged with the analog imprint of the 11 most musical string synthesizers ever built. UVI has painstaking recorded thousands of samples with the very best analog and digital gear available, putting in all experience ever learned to bring you this comprehensive instrument at an unbelievable price. Authentic sounds with character reproduce the analog grunge and warmth of yesteryear. Instant access to tons of presets and preset layers; find sounds you love and get inspired quickly. Dual layers. Select the machine and the associated sounds. No loading time when switching machines and sounds. Shape your sounds using authentic analog-modeled filters, envelopes, and LFOs. Experiment with the step modulator and take your sound out of this world! Samples recorded in 24/96 khz with Prism convertors, mastered to perfection and converted to 16/44.1 kHz. Included machines: Korg Poly Ensemble PE2000, Eko Stradivarius, Siel Orchestra, Excelsior Strings Synthesizer K4, Logan String Melody, Crumar Performer, Elka Rhapsody, Solina String Ensemble, Yamaha SS30, ROLAND RS-505 & VP-330. String Machines è in vendita a $99 USD / 89 EUR. EternitySound rilascia Slizan, un soundset per Blade, il virtual synthesizer by Rob Papen. Il soundset contiene 64 patches pensate per tutti i generi di musica elettronica, inclusa House, Trance, Dubstep, DrumnBass e altri ancora. 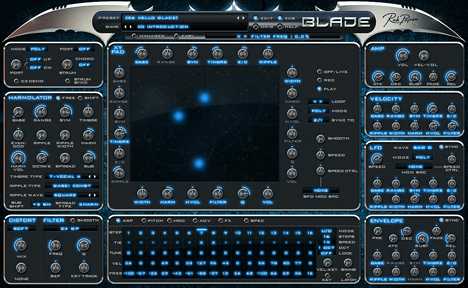 Rob Papen’s Blade synthesizer is a rethink on additive synthesis, with “ease of use” at the forefront of this idea. At the heart of this is the Harmolator, an amazing new spin on the old X/Y pad, which imbues movement and texture to sounds through recorded modulation actions. 8 bass patches; 13 wobble bass patches; 14 Keys patches; 7 Pad patches; 5 Arp patches and 13 Lead patches and 4 FX patches. The soundset ships in a single .zip and includes the .fxp bank file and an ECS file for correct midi latching in each patch + README instructions on how to install the bank and the ECS file. Note: Requires Blade version 1.0.08 or later. Slizan è in vendita a $6.99 USD. Arturia annuncia il rilascio di Wurlitzer V, un high-end software recreation del piano elettrico Wurlitzer EP 200A. Physical Modeling of the classic Wurlitzer 200A Electric Piano. 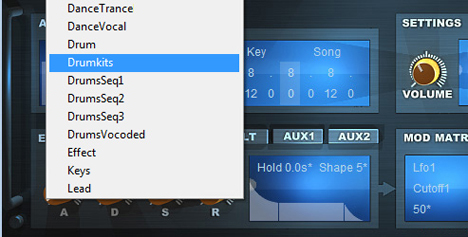 Advanced parameters to allow in-depth control over the sound design. Includes 11 classic stompbox-type modeled effects. 4 Guitar Tube Amps and 1 Rotary Speaker modeling for vintage live sound. 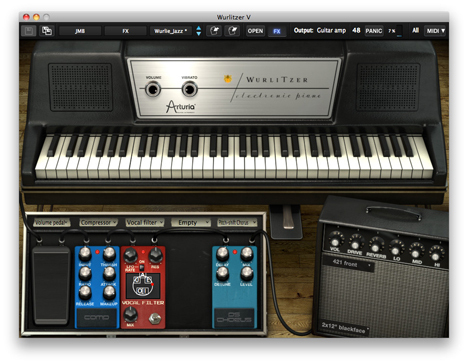 Wurlitzer V è in vendita in modalità download a 99 EUR / $99 USD, oppure in versione "boxed" a 119 EUR / $129 USD. Wildfunk rilascia Deep House Chords, un sample pack dedicato al genere deep house. After the big success of “House Piano Chords” Wildfunk continues their vintage series with the release of “Deep House Chords”. This time not with pianos but classic oldschool synths like Roland Juno-106, Yamaha DX-100, Roland SH-101 etc. 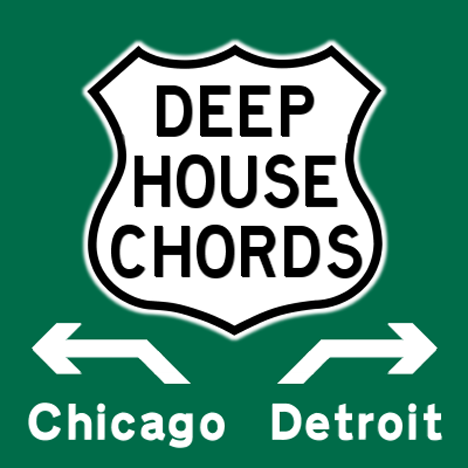 “Deep House Chords” features 200 minor chords & stabs with many variations to produce authentic Deep House tracks in the famous Detroit/Chicago style. Late-night, deep, dirty, warm, lo-fi, … it’s all in there. Load them into your sampler and play your own Deep House progressions with just 1 finger. One-Shot Samples, 16-bit/44.1 kHz WAV (mono). Depp House Chords è in vendita a 19 EUR. 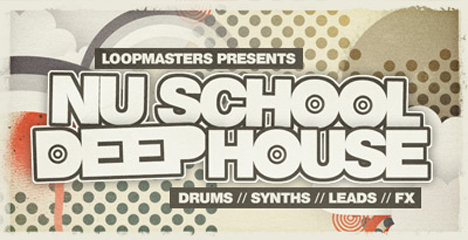 Loopmasters ha rilasciato Nu School Deep House, una raccolta di suoni e loops Deep House, prodotta da Andy Lee. Embracing the slower BPM’s and best elements of Classic House, Nu-Disco, Techno, Experimental Electronica, and Berlin-Deep Tech, today’s producers have essentially ripped up the rule book on how dance music should sound. This fusing of styles and convergence of house music has created some of the most exciting and refreshing sounds to emerge from the underground to date. Over 1 GB of 24bit quality samples including, 154 bass loops, 300 drum loops, 65 music loops, 54 vocal loops, 24 fx shots, 438 drum hits. 7 multi sampled synth instruments and 7 multi sampled bass instruments. 39 soft sampler patches for Kontakt, HALion, EXS24, NN-XT and sfz formats. Apple Loops, Ableton Live Pack and Reason Refill available separately. The sample library è in vendita a £29.95 GBP. Ti piace il nostro blog? Aiutaci a migliorarlo! Clicca il link sottostante ed effettua una donazione!